[UPDATE] According to Ryoya, he has not yet joined TEAM TEAM. We would like to apologize for this error and strive further to post accurate information. On March 14th 2018, Samuel "Sammyboy" Anderson announced through his Twitter that he was leaving TEAM TEAM. In his stead, Eric "Ryoya" Dong will once again join his former team which he left in order to join Flying Penguins, according to sources. During his time in the team, Sammyboy qualified for The Bucharest Minor and performed fairly well however a change was imminent as the team thought Ryoya would be a better fit. This will reunite Ryoya with TEAM TEAM's charismatic leader Michael "ixmike88" Ghannam, a player who has helped grow the North American scene through IXDL; a now defunct league for the elite pro players. 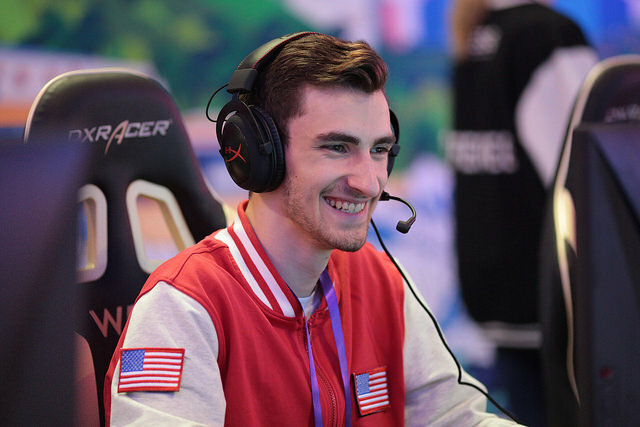 TEAM TEAM came into existence in September 2018 that also marked the return of Braxton "Brax" Paulson back to competitive gaming. After their fair share of problems during the initial stages, the team will be looking forward to step up their game. One should also note that there in no mention of TEAM TEAM in the official Majors registration page, however, they'll be registering the roster in the upcoming days.